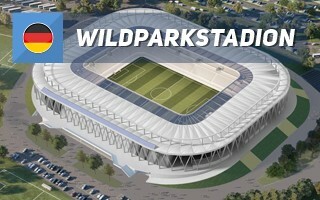 The new stadium will replace old Wildparkstadion exactly, leaving the playing field intact. 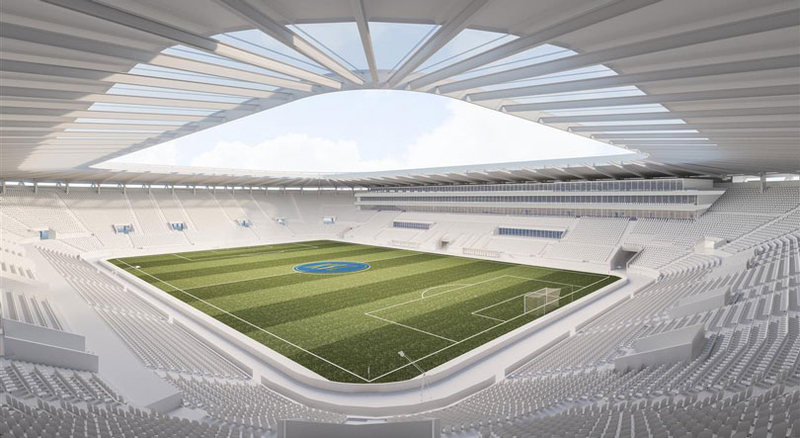 For the first time in football-only layout, the new arena is expected to be built in phased, begining with demolition of old curves and erection of temporary sections on both ends. 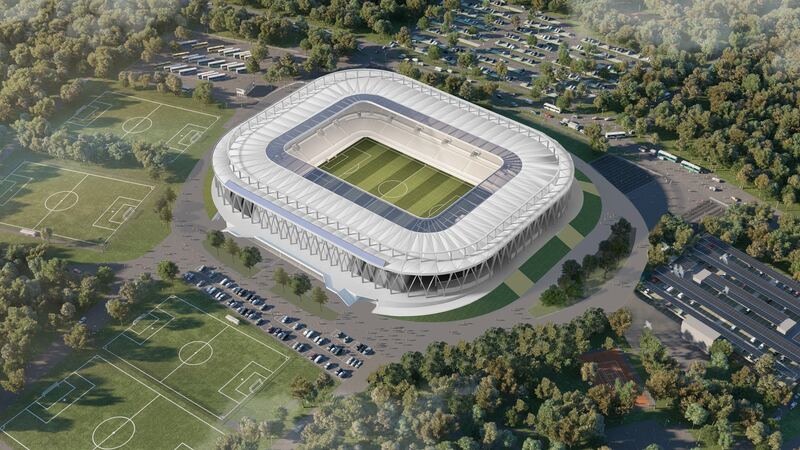 By this means it's hoped to keep capacity above 15,000 throughout the redevelopment. 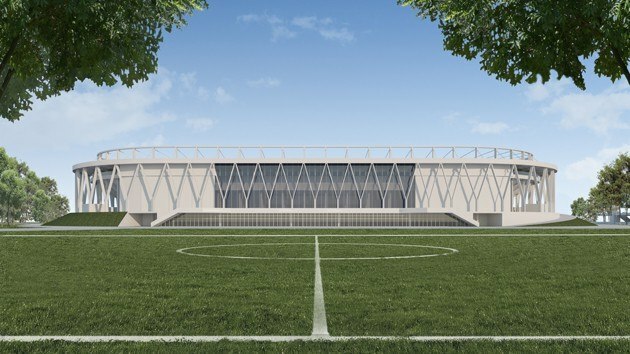 Architecturally the stadium will be simple, with key aesthetic feature in the form of Y-shaped pillars, rhythmically surrounding the stands. More opaque facade isn't planned for economic reasons. Lightweight membrane canopy will not allow for the erection of significant solar plant, though panels are planned in the south-west. 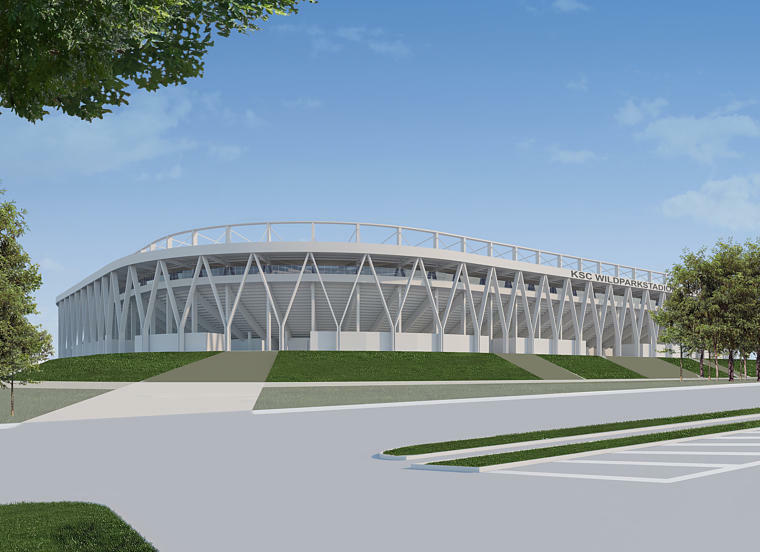 The auditorium will have a uniform height of 40 rows, however all stands will visually be divided into two levels by an internal promenade. 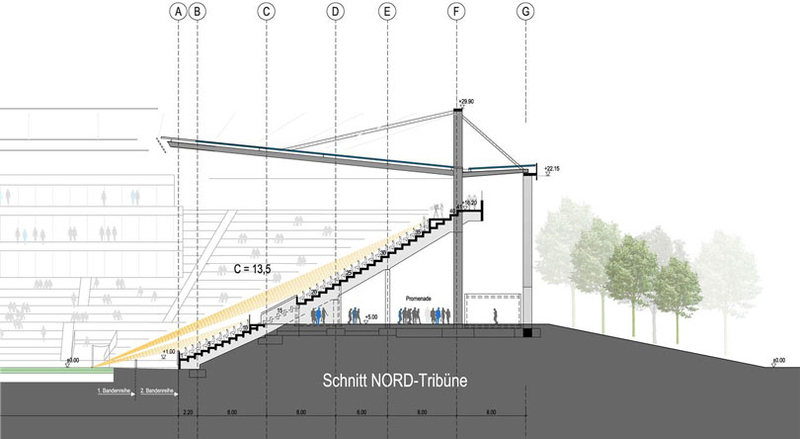 It will split the sections to 10 rows of lower tier and 30 rows of the upper one, while allowing fans to walk around the stadium without losing track of the game.